Christopher Wlezien is Hogg Professor of Government. He joined the faculty in 2013 from Temple University in Philadelphia. Previously he taught at Oxford University, where he was Reader of Comparative Government and a Fellow of Nuffield College. While at Oxford, he co-founded the ESRC-funded Oxford Spring School in Quantitative Methods for Social Research. Before that, he taught at the University of Houston, where he was founding director of the Institute for the Study of Political Economy. 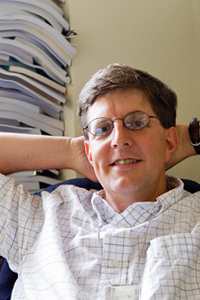 He holds or has held visiting positions at Academia Sinica (Taiwan), Australian National University, Columbia University, European University Institute (Florence), Instituto Empresa (Madrid), Juan March Institute (Madrid), University of Mannheim (Germany), McGill University (Montreal), Sciences Po (Paris), and the University of Manchester (UK). He received his Ph.D. from the University of Iowa in 1989 and his B.A. from Saint Xavier College (Chicago) in 1984. 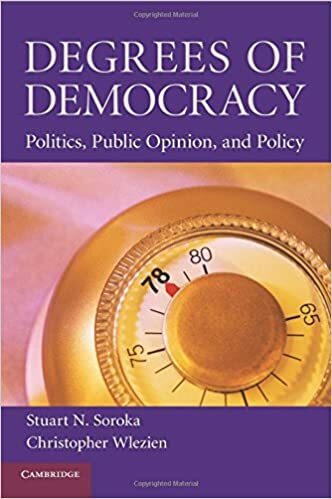 His primary, ongoing research develops a “thermostatic” model of public opinion and policy and examines the dynamic interrelationships between preferences for spending and budgetary policy in various domains. A cross-national investigation focusing on the US, the UK, and Canada is the subject of a book titled Degrees of Democracy, published by Cambridge University Press. 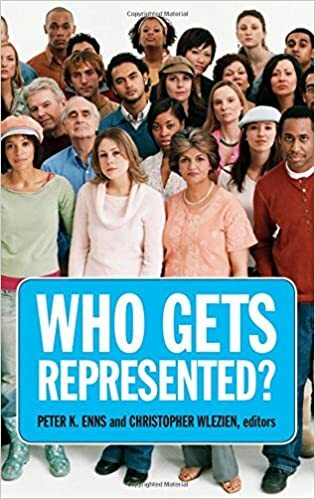 Wlezien edited a related book on Who Gets Represented?, which was published by the Russell Sage Foundation. A recent article tests theories about the effects of federalism, executive-legislative imbalance, and the proportionality of electoral systems in 17 countries. Current research in the area considers news coverage and how it mediates public responsiveness to policy. His other major area of research addresses the evolution of voter preferences expressed in pre-election polls over the course of the election cycle. 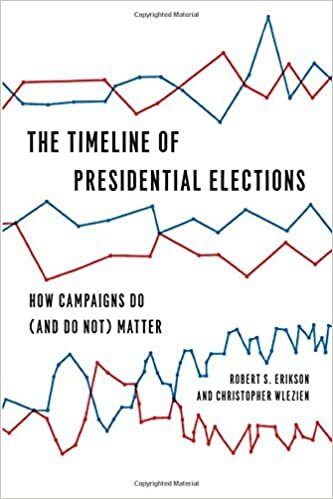 It has been the subject of numerous articles on the US and a book The Timeline of Presidential Elections that was published in 2012 by the University of Chicago Press. A related e-book The 2012 Election and the Timeline of Presidential Elections was published in 2014. His current work in the area undertakes cross-national analysis, the first article on which examines how political institutions condition the structure and evolution of electoral preferences. A related article assesses pre-election poll errors since 1942 in over 40 countries, data for which is publicly available at my poll datasets site. Recent methodological research explores issues in the application of the “timeline” approach to studying electoral dynamics. Wlezien was founding co-editor of the international Journal of Elections, Public Opinion and Parties and currently is Associate Editor of Public Opinion Quarterly, Research and Politics, and Parliamentary Affairs and also a member of the editorial boards of six other journal. He is Vice President of the Southern Political Science Association and program chair of the 2019 annual meeting being held in Austin. At the University of Texas, he is a faculty affiliate of the Policy Agendas Project and the Center for European Studies. This course examines the interrelationships between public opinion and public policy in the US and other countries, and should be of relevance to students of American Politics, Comparative Politics, and Public Policy. It is designed to meet the needs of graduate students who hope to do original research, master a doctoral field, or teach in the area. The literature that has been chosen is not inclusive of the wide-ranging and rapidly-expanding work that comprises the field, and encompasses those areas of recurrent scholarly interest, but should serve as a useful starting point. The first half of the course treats public opinion as a dependent variable and policy as an independent variable the second half of the course reverses things, treating policy as the dependent variable instead. I think this structure and the readings themselves will give you a good sense for what we have learned about the subject and help you identify your own avenues for research. The class is a seminar. Throughout the semester, participants will engage in two basic activities. First, each week we will as a group plough through a set of assigned readings on the scheduled topic. All students are expected to do all reading and be prepared to actively participate, as this is critical to the healthy functioning of the seminar. Second, beginning in week 3, one or two students will take responsibility for each session. This should promote participation, limit my proclivity for filibustering, and help prepare each student for the day when he or she must lead a class. Seminar leaders are expected to distribute by e-mail five discussion questions for the class meeting. The main assignment for this class is the preparation of an original research paper, about which more detailed information will be provided in class, first in week 1 and then during the course, as appropriate. Brooks, Clem and Jeff Manza. 2007. Why Welfare States Persist: Public Opinion and the Future of Social Provision. Chicago: University of Chicago Press. Erikson, Robert S., Michael B. MacKuen, and James A. Stimson. 2002. The MacroPolity. Cambridge: Cambridge University Press. Jones, Bryan and Frank Baumgartner. 2005. The Politics of Attention. Chicago: University of Chicago Press. Mettler, Suzanne. 2011. The Submerged State. Chicago: University of Chicago Press. Soroka, Stuart and Christopher Wlezien. 2010. Degrees of Democracy: Politics, Public Opinion and Policy. New York: Cambridge University Press. This course examines political behavior from a comparative perspective focusing on democratic (and democratizing) countries. It is designed to meet the needs of graduate students who hope to do original research, master a doctoral field, or teach in the area. The literature that has been chosen is not inclusive of the wide-ranging and rapidly-expanding work that comprises the field, and encompasses those areas of recurrent scholarly interest. Although the assigned reading in each week represents some of the most important work that has been produced to date, it should be considered a starting point rather than a final resting place. The reading will give you a good sense for what we have learned about the subject. It also will give you a feel for how political scientists think about and execute empirical research in the area. The class is a seminar. Throughout the semester, participants will engage in two basic activities. First, each week we will as a group plough through a set of assigned readings on the scheduled topic. All students are expected to do all reading and be prepared to actively participate, as this is critical to the healthy functioning of the seminar. Second, beginning in week 3, one or two students will take responsibility for each session. This should promote participation, limit my proclivity for filibustering, and help prepare each student for the day when he or she must lead a class. Seminar leaders are expected to distribute by e-mail discussion questions for the class meeting. Systems. Cambridge: Cambridge University Press. Dalton, Russell and Hans-Dieter Klingemann. 2007. Oxford Handbook of Political Behavior. Oxford: Oxford University Press. Dalton, Russell and Christopher J. Anderson, eds. 2011. Citizens, Context and Choice. Oxford: Oxford University Press. Anderson, Christopher J., Andre Blais, Shaun Bowler, Todd Donovan, and Ola Listhaug. 2005. Political Institutions Condition Election Results. Cambridge: Cambridge University Press. The readings also include many journal articles and book chapters that will be listed in the course syllabus. Dahl, Robert. 1956. A Preface to Democratic Theory. Chicago: University of Chicago Press. This course examines the relationship between the public and elected officials in representative democracy. It builds on democratic political theory but focuses mostly on empirical practice, particularly in the United States (US). Special attention is paid to the representation of public opinion in the composition of elected bodies, the positions politicians take, and government policy actions themselves. Along the way, we consider the roles played by characteristics of issues, electoral competition, political institutions, and political inequality, among other things. By the end of the course, students should have a good sense for how well and why elected officials represent the public in the US. NOTE: A short “think” paper may be required in lieu of a final examination, in which case the final examination would be replaced by a 2nd midterm examination worth 40% of the final grade and the paper would be worth 20%. Brunell, Thomas. 2008. Redistricting and Representation: Why Competitive Elections are Bad for America. Routledge. Mezey, Michael L. 2008. Representative Democracy: Legislators and their Constituents. Rowman and Littlefield. Erikson, Robert S., Gerald C. Wright, and John P. McIver. 1993. Statehouse Democracy: Public Opinion and Policy in the American States. Cambridge: Cambridge University Press, 1993. This course examines the interrelationships between public opinion and public policy in the US and other countries, and should be of relevance to students of American Politics, Comparative Politics, and Public Policy. It is designed to meet the needs of graduate students who hope to do original research, master a doctoral field, or teach in the area. The literature that has been chosen is not inclusive of the wide-ranging and rapidly-expanding work that comprises the field, and encompasses those areas of recurrent scholarly interest, but should serve as a useful starting point. The reading will give you a good sense for what we have learned about the subject and help you identify your own avenues for research. Opinion and Policy. New York: Cambridge University Press. This course examines the president’s role in US politics. The course focuses on what the public expects from presidents and whether and how presidents can deliver, in effect, the match between “demand” and “supply.” The course begins with presidential elections—what explains why some candidates win and others lose? This tells us what the public wants from presidents. We then turn to presidential power—the influence of presidents on legislative, executive and judicial action. This reveals what presidents can actually provide. The course concludes with an assessment of presidential influence in different policy areas. At the end of the course, students should have a good sense for possibilities and limits of presidential power in the US. and Policy Making, 9th edition. Stamford, CT: Cengage. Erikson, Robert and Christopher Wlezien. 2012. The Timeline of Presidential Elections. Kernell, Samuel. 2007. Going Public: New Strategies of Presidential Leadership, 4th edition. Washington, D.C.: Congressional Quarterly Press. The class is a seminar. Throughout the semester, participants will engage in two basic activities. First, each week we will as a group plough through a set of assigned readings on the scheduled topic. All students are expected to do all reading and be prepared to actively participate, as this is critical to the healthy functioning of the seminar. Second, beginning in week 3, two students will take responsibility for each session. This should promote participation, limit my proclivity for filibustering, and help prepare each student for the day when he or she must lead a class. Seminar leaders are expected to distribute by e-mail discussion questions for the class meeting. In Established Democracies since 1945. Cambridge: Cambridge University Press. Van der Brug, Wouter, Cees van der Eijk, and Mark N. Franklin. 2007. The Economy and the Vote. Cambridge: Cambridge University Press. The readings also include many journal articles and book chapters that will be listed in the course outline. Erikson, Robert S., Gerald C. Wright, and John P. McIver. 1993. Statehouse Democracy: Public Opinion and Policy in the American States. Cambridge, UK: Cambridge University Press, 1993. Dalton, R., Farrell, D. & McAllister, I. 2012. Political Parties and Democratic Linkage. How Parties Organize Democracy. Oxford: Oxford University Press. “Mass Media as a Source of Public Responsiveness to Policy,” with Fabian Neuner and Stuart Soroka. International Journal of Press/Politics, forthcoming. Paper presented at the Annual Meetings of the American Political Science Association, San Francisco, 2015, the Midwest Political Science Association, Chicago, 2016, the Southern Political Science Association, New Orleans, 2017, and the Southwestern Political Science Association, Austin, 2017. “Trends in Public Support for Welfare Spending: How the Economy Matters,” with Stuart Soroka. British Journal of Political Science, forthcoming. Paper presented at the Annual Meetings of the American Political Science Association, Chicago, 2013, and the Southern Political Science Association, New Orleans, 2018. “Social Welfare Policy Outputs and Governing Parties’ Left-Right Images: Do Voters Respond?” with James Adams and Luca Bernardi. Journal of Politics, forthcoming. Paper presented at the Annual Meeting of the Midwest Political Science Association, Chicago, 2017. “Tracking the Coverage of Public Policy in Mass Media,” with Stuart Soroka. Policy Studies Journal, forthcoming. Paper presented at the workshop on Policy Feedback and Feed Forward, University of Arizona, Tucson, 2017, the Annual Meeting of the Midwest Political Science Association, Chicago, 2018, the American Political Science Association, Boston, 2018, and the EPOP Group of the Political Studies Association, Royal Holloway, University of London, 2018. "Forecasting the 2018 Midterm Election with National Polls and District Information," with Joseph Bafumi and Robert S. Erikson. PS: Political Science and Politics, forthcoming. Paper presented at the Annual Meeting of the American Political Science Association, Boston, 2018. “Mass Media and Electoral Preferences during the 2016 US Presidential Race,” with Stuart Soroka. Political Behavior, forthcoming. "Election Polling Errors across Space and Time," with Will Jennings. Nature Human Behaviour, vol 2, 2018. Paper presented at the Annual Meeting of the American Association for Public Opinion Research, Denver, 2018. "An Evaluation of 2016 Election Polls in the United States," with Courtney Kennedy, Mark Blumenthal, Scott Clement, Joshua Clinton, Claire Durand, Charles Franklin, Kylie McGeeney, Lee Miringoff, Kristen Olson, Doug Rivers, Lydia Saad, and Evans Witt. Public Opinion Quarterly, vol. 82, 2018. Paper presented at the Annual Meeting of the American Association for Public Opinion Research, New Orleans, 2017. “Public Opinion and Policy Representation: On Conceptualization, Measurement and Interpretation.” Policy Studies Journal, vol. 45, 2017. Paper presented at the Annual Meeting of the Midwest Political Science Association, Chicago, 2014, and at the Institute for Political Methodology, Taipei, 2016, and the Inter-University Consortium for Political and Social Research, Ann Arbor, 2016. "The 'Timeline' Method of Studying Electoral Dynamics," with Will Jennings and Robert S. Erikson. Electoral Studies, vol 48, 2017. Paper presented at the Conference on Innovations in Comparative Political Methodology, College Station, Texas, 2015. “A Cross-National Analysis of the Causes and Consequences of Economic News," with Stuart Soroka and Dominik Stecula. Social Science Quarterly, vol. 98, 2017. Paper presented at the Conference on the New World of Comparative Political Communication, College Station, Texas, 2016. "Understanding Equation Balance in Time Series Regression," with Peter Enns. The Political Methodologist, 2017. Paper presented at the Texas Methods Conference, Houston, 2017. “Representative Systems and Policy Punctuations,” with EJ Fagan and Bryan Jones. Journal of European Public Policy, vol. 24, 2017. Paper presented at the Conference on Political Budgeting across Europe, College Station, Texas, 2015. “When do the Rich Win?” with Alex Branham and Stuart Soroka. Political Science Quarterly, vol 132, 2017. Paper presented at the Annual Meeting of the Southern Political Science Association, Puerto Rico, 2016, the Annual Meeting of the Midwest Political Science Association, Chicago, 2016, and the Annual Meetin of the American Association for Public Opinion Research, Austin, 2016. "Advances in the Study of Democratic Responsiveness: An Introduction," with Peter Esaiasson. Comparative Political Studies, vol. 50, 2017. “Policy (Mis)Representation and the Cost of Ruling: US Presidential Elections in Comparative Perspective.” Comparative Political Studies, vol 50, 2017. Paper presented at the Conference on Advances in the Study of Democratic Responsiveness, Gothenburg, Sweden, 2014, and the Annual Meeting of the Southern Political Science Association, San Juan, Puerto Rico, 2016. “The Company You Keep: How Citizens infer Parties’ Positions on Europe from Governing Coalition Arrangements,” with James Adams and Lawrence Ezrow. American Journal of Political Science, vol. 60, 2016. Paper presented at the Annual Meeting of the American Political Science Association, Chicago, 2013, and the Annual Meeting of the Midwest Political Science Association, Chicago, 2015. “An Analysis of the Public’s Personal, National and EU Issue Priorities,” with Shaun Bevan and Will Jennings. Journal of European Public Policy, vol. 23, 2016. Paper presented at the Annual Meeting of the Elections, Public Opinion and Parties Group of the Political Studies Association, Edinburgh, 2014. “The Majoritarian and Proportional Visions and Democratic Responsiveness,” with Stuart Soroka. Electoral Studies, vol. 40, 2015. Paper presented at the Annual Meeting of the Canadian Political Science Association, Victoria, British Columbia, 2012, the Annual Meeting of the Southwest Political Science Association, San Antonio, 2014, and the Annual Meeting of the Southern Political Science Association, New Orleans, 2015. “The Timeline of Elections: A Comparative Perspective,” with Will Jennings. American Journal of Political Science, vol. 60, 2016. Presented at the Annual Meeting of the Elections, Public Opinion and Parties subgroup of the Political Studies Association, Lancaster, UK, 2013, the Annual Meeting of the Midwest Political Science Association, Chicago, 2014, and the Annual Meeting of the Southern Political Science Association, New Orleans, 2015. “Electoral Systems and Opinion Representation,” with Stuart Soroka. Representation, vol. 51, 2015. Paper presented at the Annual Meeting of the Canadian Political Science Association, Victoria, British Columbia, 2012, the Annual Meeting of the Southwest Political Science Association, San Antonio, 2014, and the Annual Meeting of the Southern Political Science Association, New Orleans, 2015. “The Myopic Voter? The Economy and US Presidential Elections,” Electoral Studies, vol. 39, 2015. Presented at the Conference on Methodological Innovations in the Study of Elections in Europe and Beyond, College Station, Texas, 2014. “Preferences, Problems and Representation,” with Will Jennings. Political Science Research and Methods, vol. 3, 2015. Presented at the Annual Meeting of the Elections, Public Opinion and Parties Group of the Political Studies Association, Oxford, 2012, the Annual Meeting of the Comparative Agendas Project, Antwerp, 2013, and the Annual Meeting of the Southern Political Science Association, New Orleans, 2015. “It’s (Change in) the (Future) Economy, Stupid: Economic Indicators, the Media and Public Opinion,” with Stuart Soroka and Dominik Stecula. American Journal of Political Science, vol. 59, 2015. Presented at the Annual Meeting of the Midwest Political Science Association, Chicago, 2013; also presented at the Annual Meeting of the American Association for Public Opinion Research, Boston, 2013. 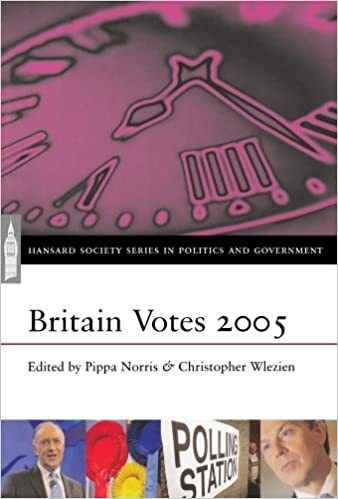 “Polls and the Vote in Britain,” with Will Jennings, Stephen Fisher, Robert Ford, and Mark Pickup. Political Studies, vol. 61, 2013. “Political Institutions and the Opinion-Policy Link,” with Stuart Soroka. West European Politics, vol. 35, 2012. Presented at the European Consortium for Political Research Joint Sessions of Workshops, St. Gallen, Switzerland, 2011, the Annual Meeting of the Elections, Public Opinion and Parties Group of the Political Studies Association, Exeter, UK, 2011, and the Annual Meeting of the Midwest Political Science Association, Chicago, 2012. “Markets vs. 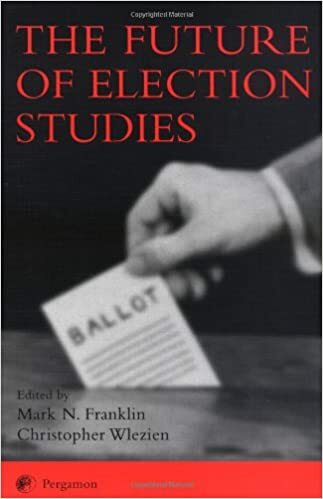 Polls as Election Predictors: An Historical Assessment,” with Robert S. Erikson. Electoral Studies, vol. 31, 2012. Presented at the Annual Meeting of the American Association for Public Opinion Research, Hollywood, Florida, 2009. “Distinguishing between Most Important Issues and Problems?” with Will Jennings. Public Opinion Quarterly, vol. 75, 2011. Presented at the Annual Meeting of the Elections, Public Opinion, and Parties Group of the Political Studies Association, Glasgow, 2009. “Performance Pressure: Partisan Alignment and the Economic Vote,” with Mark Andreas Kayser. European Journal of Political Research, vol. 50, 2011. Presented at the Annual Meeting of the American Political Science Association, Philadelphia, 2006. Winner of the European Politics and Society award for the best paper presented at the 2006 Meeting of the American Political Science Association. 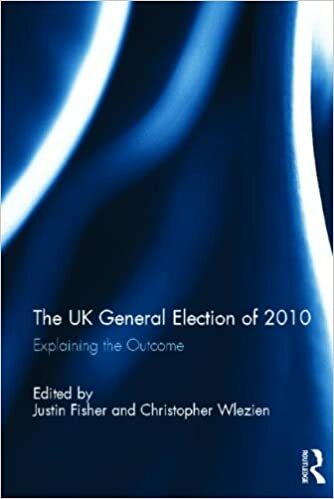 “From Polls to Votes to Seats: The 2010 British Election,” with Stephen Fisher, Robert Ford, Will Jennings and Mark Pickup. Electoral Studies, vol. 30, 2011. Presented at the Conference on Methods and Models for Election Forecasting in the UK, Manchester, 2010. “Federalism and Public Responsiveness to Policy,” with Stuart Soroka. Publius, vol. 41, 2011. Presented at the Annual Meeting of the American Political Science Association, Toronto, 2009. “Balancing, Generic Polls and Midterm Congressional Elections,” with Joseph Bafumi and Robert S. Erikson. Journal of Politics, vol. 72, 2010. Presented at the Annual Meeting of the American Association for Public Opinion Research, Anaheim, 2008. “The Crystallization of Voter Preferences during the 2008 Presidential Election Campaign,” with Robert S. Erikson and Costas Panagopoulos. Presidential Studies Quarterly, vol. 40, 2010. “Center-Party Strength and Major-Party Polarization in Britain,” with Jack H. Nagel. British Journal of Political Science, vol. 40, 2010. “The Dynamics of Poll Performance during the 2008 Nomination Context,” with Michael Traugott. Public Opinion Quarterly, vol. 73, 2009. “A General Empirical Law of Public Budgets: A Comparative Analysis,” with Bryan Jones, Frank Baumgartner, Christian Breunig, Stuart Soroka, Martial Foucault, Abel Francois, Christoffer Green- Pedersen, Chris Koski, Peter John, Peter B. Mortensen, Frederic Varone, and Stefaan Walgrave. American Journal of Political Science, vol. 53, 2009. “On Filtering Longitudinal Public Opinion Data: Issues in Identification and Representation of True Change,” with Mark Pickup. Electoral Studies, vol. 28, 2009. Presented at the Workshop on Producing Better Measures by Combining Data Cross Temporally, Nuffield College, Oxford, 2007. “Are Political Markets Really Superior to Polls as Election Predictors?” with Robert S. Erikson. Public Opinion Quarterly, vol. 72, 2008. Presented at the Annual Meeting of the World Association of Public Opinion Research, Cannes, 2005; also presented at the Annual Meetings of the American Political Science Association, Chicago, 2005, the American Association for Public Opinion Research, Montreal, 2006, and the Elections, and the Public Opinion, and Parties Group of the Political Studies Association, Bristol, UK, 2007, as well as the First World Meeting of the Public Choice Society, Amsterdam, 2007. “On the Limits to Inequality in Representation,” with Stuart Soroka. PS: Political Science and Politics, Vol. 41, 2008. Presented at the Annual Meeting of the American Political Science Association, Philadelphia, 2006; also presented at the Annual Meetings of the Elections, Public Opinion, and Parties Group of the Political Studies Association, Nottingham, UK, 2006, and the Midwest Political Science Association, Chicago, 2007. “The Economy and the Presidential Vote: What Leading Indicators Reveal Well in Advance,” with Robert S. Erikson. International Journal of Forecasting, vol. 24, 2008. Presented at the 27th Annual International Symposium on Forecasting, New York, 2007. “Does Political Information Matter? An Experimental Test Relating to Party Positions on Europe,” with James Tilley. Political Studies, vol. 56, 2008. Presented at the Biannual Meeting of the European Consortium of Political Research, Budapest, 2005. Winner of the Political Studies Association’s Harrison Prize for the best paper published in the 2008 volume of Political Studies. “Partisan Preferences, Electoral Prospects, and Economic Expectations,” with Matthew Ladner. Comparative Political Studies, vol. 40, 2007. Presented at the Conference on Perceptions, Preferences and Rationalization: Overcoming the Problem of Causal Inference in the Study of Political Behavior, Nuffield College, Oxford, 2004. “The Horse Race: What Polls Reveal as the Election Campaign Unfolds,” with Robert S. Erikson. International Journal of Public Opinion Research, vol. 19, 2007. Presented at the Gallup Symposium on the Science of Pre-Election Polling, Washington, D.C., May, 2002. “Public Expenditure in the UK: How Measures Matter,” with Stuart Soroka and Iain McLean. Journal of the Royal Statistical Society, Series A, vol. 169, 2006. Presented at the Annual Meeting of the Political Studies Association, Aberdeen, 2002; also presented at the Conference on Budgetary Policy Change, Oxford, 2002. “On the Salience of Political Issues: The Problem with ‘Most Important Problem’.” Electoral Studies, vol. 24, 2005. Presented at the Annual Meeting of the Midwest Political Science Association, Chicago, 2001; also presented at the Annual Meetings of the Southwest Political Science Association, New Orleans, 2002, and the EPOP Group of the Political Studies Association, Cardiff, 2003. “Opinion-Policy Dynamics: Public Preferences and Public Expenditure in the UK,” with Stuart Soroka. British Journal of Political Science, vol. 35, 2005. Presented at the Annual Meeting of the EPOP Group of the Political Studies Association, Salford, UK, 2002; also presented at the Annual Meetings of the American Political Science Association, Boston, 2002, and the Midwest Political Science Association, Chicago, 2003. “Whether the Campaign Mattered and How.” Parliamentary Affairs, vol. 58, 2005. “Opinion Representation and Policy Feedback: Canada in Comparative Perspective,” with Stuart Soroka. Canadian Journal of Political Science, vol. 37, 2004. Presented at the Annual Meeting of the Canadian Political Science Association, Halifax, 2003. Winner of the Canadian Political Science Association’s John McMenemy Prize for the best paper published in the 2004 volume of the Canadian Journal of Political Science. “Public Expenditure in the English Regions: Measurement Problems and (Partial) Solutions,” with Gavin Cameron and Iain McLean. Political Quarterly, vol. 75, 2004. “Patterns of Representation: Dynamics of Public Preferences and Policy.” Journal of Politics, vol. 66, 2004. Presented at the Annual Meeting of the American Political Science Association, Chicago, 1995; also presented at the Annual Meetings of the Southwest Political Science Association, New Orleans, 1997, and the Midwest Political Science Association, Chicago, 1998. Winner of the Pi Sigma Alpha award for the best paper presented at the 1997 Meeting of the Southwest Political Science Association. “Measures and Models of Budgetary Policy,” with Stuart Soroka. Policy Studies Journal, vol. 31, 2003. “Presidential Election Polls in 2000: A Study in Dynamics,” Presidential Studies Quarterly, vol. 33, 2003. Presented at the Annual Meeting of the American Political Science Association, San Francisco, 2001. 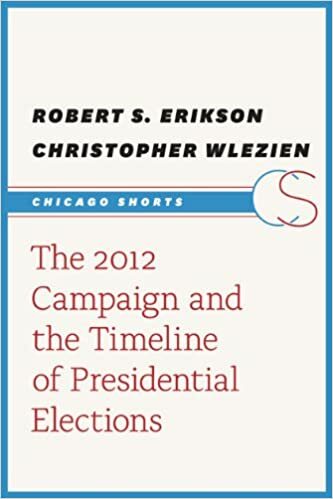 “The Timeline of Presidential Election Campaigns,” with Robert S. Erikson. Journal of Politics, vol. 64, 2002. Presented at the Annual Meeting of the American Political Science Association, Boston, 1998; also presented at the Annual Meetings of the Southwest Political Science Association, San Antonio, 1999, and the Midwest Political Science Association, Chicago, 2000. “Reinventing Election Studies,” with Mark N. Franklin. Electoral Studies, vol. 21, 2002. “Campaign Effects in Theory and Practice,” with Robert S. Erikson. American Politics Research, vol. 29, 2001. Presented at the Annual Meeting of the Southern Political Science Association, Atlanta, 2000. “Ideological Placements and Political Judgments of Government Institutions,” with Christopher Carman. Public Opinion Quarterly, vol. 65, 2001. Presented at the Annual Meeting of the Midwest Political Science Association, Chicago, 1999; also presented at the Annual Meeting of the Southern Political Science Association, Savannah, 1999. “After the Election: Our Forecast in Retrospect,” with Robert S. Erikson. American Politics Research, vol. 29, 2001. “An Essay on ‘Combined’ Time Series Processes.” Electoral Studies, vol. 19, 2000. Presented at the Annual Meeting of the American Political Science Association, Boston, 1998; also presented at the Annual Meeting of the Southern Political Science Association, Savannah, 1999. “Presidential Polls as a Time Series: The Case of 1996,” with Robert S. Erikson. Public Opinion Quarterly, vol. 93, 1999. Presented at the Annual Meeting of the American Association for Public Opinion Research, St. Louis, 1998; also presented at the Annual Meeting of the Midwest Political Science Association, Chicago, 1998. “Social Groups and Political Judgments,” with Arthur H. Miller. Social Science Quarterly, vol. 78, 1997. Presented at the Annual Meeting of the American Political Science Association, New York, 1994. “The Responsive Public: Issue Salience, Policy Change, and Preferences for European Unification,” with Mark Franklin. Journal of Theoretical Politics, vol. 9, 1997. Presented at the Joint Sessions of the European Consortium for Political Research, Bern, Switzerland, 1997; also presented at the Annual Meeting of the Midwest Political Science Association, Chicago, 1997. “Economic Perceptions and Vote Choice: Disentangling the Endogeneity,” with Mark Franklin and Daniel Twiggs. Political Behavior, vol. 19, 1997. Presented at the Conference on the Economy and Political Behavior, Houston, 1995. “Temporal Horizons and Presidential Election Forecasts,” with Robert S. Erikson. American Politics Quarterly, vol. 24, 1996. Presented at the Annual Meeting of the Southwest Political Science Association, Dallas, 1995; also presented at the Annual Meeting of the Midwest Political Science Association, Chicago, 1995. “Dynamics of Representation: The Case of U.S. Spending on Defense.” British Journal of Political Science, vol. 26, 1996. Presented at the Annual Meeting of the American Political Science Association, Chicago, 1992; also presented at the Annual Meeting of the Midwest Political Science Association, Chicago, 1992. “The Contamination of Responses to Survey Items: Economic Perceptions and Political Judgments,” with Nathaniel T. Wilcox. Political Analysis, vol. 5, 1996. Presented at the Annual Meeting of the Public Choice Society, New Orleans, 1993. “The President, Congress, and Appropriations.” American Politics Quarterly, vol. 24, 1996. Presented at the Annual Meeting of the Public Choice Society, New Orleans, 1991. “The Public as Thermostat: Dynamics of Preferences for Spending.” American Journal of Political Science, vol. 39, 1995. Presented at the Annual Meeting of the Southwest Political Science Association, San Antonio, 1994; also presented at the Annual Meeting of the Midwest Political Science Association, Chicago, 1994. Winner of the Pi Sigma Alpha award for the best paper presented at the 1994 Meeting of the Southwest Political Science Association. “The Impact of Legal Constraints on Voter Registration, Turnout, and the Composition of the American Electorate,” with Glenn Mitchell. Political Behavior, vol. 17, 1995. Presented at the Annual Meeting of the Midwest Political Science Association, Chicago, 1989; also presented at the Annual Meeting of the Southern Political Science Association, Atlanta, 1988. “Attitudes toward Europe and Referendum Votes,” with Mark Franklin and Michael Marsh. Electoral Studies, vol. 13, 1994. “The Politics of Impoundments.” Political Research Quarterly, vol. 47, 1994. Presented at the Annual Meeting of the Midwest Political Science Association, Chicago, 1989. “The Courts, Interest Groups, and Public Opinion about Abortion,” with Malcolm Goggin. Political Behavior, vol. 15, 1993. “Substitutability and the Politics of Macroeconomic Policy,” with Richard Jankowski. Journal of Politics, vol. 55, 1993. Presented at the Annual Meeting of the American Political Science Association, Chicago, 1987; also presented at the Annual Meeting of the Midwest Political Science Association, Chicago, 1987. “The Social Group Dynamics of Partisan Evaluations,” with Arthur H. Miller. Electoral Studies, vol. 12, 1993. Presented at the Annual Meeting of the American Political Science Association, Atlanta, 1989. “The Political Economy of Supplemental Appropriations,” Legislative Studies Quarterly, vol. 18, 1993. Presented at the Annual Meeting of the Midwest Political Science Association, Chicago, 1988. “A Reference Group Theory of Partisan Coalitions,” with Arthur H. Miller and Anne Hildreth. Journal of Politics, vol. 53, 1991. Presented at the Annual Meeting of the Midwest Political Science Association, Chicago, 1988. Survey organizations have been polling citizens about their voting intentions for over 70 years. This project - led by Will Jennings and Christopher Wlezien - assembles what is believed to be the largest cross-national collection of vote intention polls. The data set includes more than 30,000 pre-election polls in national elections from 45 countries since 1942 to the present day. The data collection is part of their research into how voters' preferences evolve over the election cycle - in different political and electoral systems. To date, their research has produced articles in the American Journal of Political Science, Electoral Studies, and Nature Human Behaviour. Further papers and a book are in progress. Jennings and Wlezien continue to expand the dataset, including more countries and elections as they locate new polls. They welcome and are happy to acknowledge any additional polling data or corrections to any of the reported results. The full dataset currently includes 30,916 national polls assessing citizens' vote intentions among 271 parties in 351 general elections in 45 countries between 1942 and 2017. It includes presidential elections in 23 countries and legislative elections in 31 countries. Replication Data for Jennings, Will; Wlezien, Christopher, 2018. "Election Polling Errors across Time and Space." Nature Human Behaviour 2: 276–283. Replication Data for Jennings, Will; Wlezien, Christopher, 2016. "The Timeline of Elections: A Comparative Perspective." American Journal of Political Science, 60(1): 219-233. Poll Data for Erikson, Robert S.; Wlezien, Christopher, 2012. The Timeline of Presidential Elections: How Campaigns Do (and Do Not) Matter. Chicago: University of Chicago Press. And for our follow-up e-book, The 2012 Campaign and the Timeline of Presidential Elections. Chicago: University of Chicago Press, 2014.